If you want to invest in stock you are going to need an account with a stock broker. Many banks offer stock broker accounts but it is often best to choose a specialized stock broker rather than trading stock through your bank. Specialized brokers are usually cheaper to use and offer a more varied selection on services than regular banks. Which broker you chose will have an impact on you ability to make money. There are several reasons for this. Many different stockbrokers are able to offer trading on the stock market but different stock brokers will charge different trading fees. This trading fees will affect how easy it is to make money. This is especially true if you trade for small amounts of money. If you trader for 10 000 or more per transaction then the trading fees will have a limit effect on your ability to make money. If you trade for 500 a transaction then they can have a large effect. This is due to the reason that most brokers has a minimum fee that you have to pay. This minimum fee can be a lot higher than the regular percentage based fee if you make small transactions. If you are going to trade for small amounts then your main concern should be to find a stock broker that has as low a minimum fee as possible. You might be able to find a broker that is free to use when you make small transactions. How easy it is to find a free broker depends on what country you are based in. If you are going to make larger transactions then the minimum fee is of less importance and you should instead be looking for a broker that offer you the tools you feel that you need to be successful. A low percentage based trading fee doesn’t hurt either. All stock brokers offer the same basic service. They offer the ability to buy and sell stocks on one or several stock markets. There are however a lot of small differences between the service different brokers offer. There can also be large differences between how well they perform the services they offer. Below we are going to look a little more about what sets different brokers apart. The list below is not complete but it does contain many of the most common and most important differences between different brokers. Tradings fees is as earlier mention an important difference between different brokers. The fees can vary a lot between different companies. It is important to understand that most brokers charge different fees for trades on different stock markets. You should therefore always check the price to trade on all the markets you want to trade on. There are a large number of stock markets in the world. Brokers can offer trade on one or several of them. Most brokers offer trading on a large number of different stock markets in different countries. 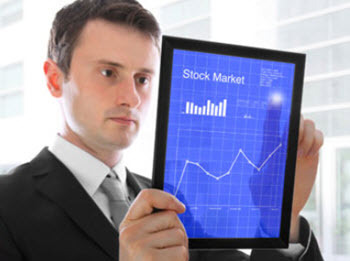 Make sure that the stock broker you are considering is offering trading on all the markets you want to trade on. You can usually find one that does but sometimes you might need more than one account to be able to trade on all the stock markets you want to trade on. Many stock brokers offer to option to trade with other financial instruments than just stocks. Common examples includes options, CFD:s, warrants and mutual funds. Make sure that the stock broker you are choosing gives you the opportunity to trade with all the instruments you want to be able to trade with. I recommend registering an account with a specialized broker if you want to trade with CFD:s or binary options. The specialized brokers are usually much better than the stock brokers that offer these instruments as an extra service. 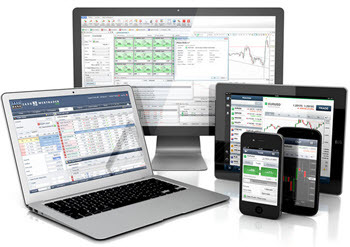 Different brokers have different trading platforms. You should look for a broker that has a platform that is easy to use and that make it easy to trade on both your computer and your phone. I recommend that you choose a broker with a platform you like and feel comfortable with even if that platform offer fewer features than another platform that you do not like. Some brokers gives you the opportunity to call them to buy and sell stock. I do not recommend using this feature since the fees are a lot higher then they are when you trade through the internet platform. This is due to the fact that the platform is automated and when you call you get to talk to a stock broker that needs to be paid. It is often necessary to call the brokerage line if you want to trade on some smaller stock markets. Most traders do not need a brokerage line that they can call and this is usually not a feature that adds value. Some brokers make it easier to deposit and withdraw money than other. You should always look for a broker that suits your banking situation and that makes it easy for you to transfer money to and from your stock account. Make sure that the broker offer at least one free monthly withdrawal. Most good brokers do this and it is a red flag if they do not. Make sure that the broker register the stock in your name. 99% of all brokers do this. However there are some brokers that do not and these should be avoided. If the stocks are in your name then you keep them even if the broker goes into bankruptcy. If the stock is registered on the broker than the stock is most likely lost if the broker goes in bankruptcy. I always recommend direct ownership of stocks. Most stockbrokers who do not register the stocks in the clients name are scams. Pleas observe that some brokers offer special services for people who do not want the stock in their name. This is not an indicator of a spam broker. It is how the broker handle the stocks by default that might indicate a scam. 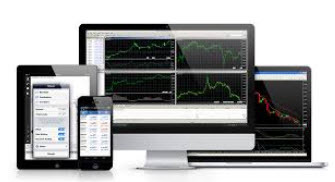 Many stock brokers offer a number of tools that are designed to help you analyze the market and make more money. An example of this is that some brokers offer TA (technical analysis) tools to their customers. Most brokers offer one cheap basic account and then offer more expensive accounts, sometimes with a monthly fee, that contains different tradings tools. To get the tools through the broker is often a lot cheaper than signing up for the services yourself and premium brokerage accounts can be a cheap way to get the tools you need. Make sure that you really need the tools before you decide to pay for a premium accounts. A large percentage of all customers who sign up for premium stock broker accounts are wasting money because they never use the services they pay extra for. If you just need one or two of the services that is included in an account then it can be cheaper to subscribe to those separately. Always see what is the best and cheapest option for you. 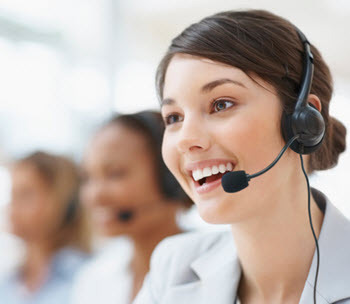 Customer service is one area where you notice a big difference between different stock brokers. Some brokers offer very good, knowledgeable and friendly customer service that are happy to give you all the help you need. Other brokers have poor customer service with poorly trained customer service personnel. The brokers with poorly trained personal can still be a great choice for more experienced traders that are unlikely to need much help. A trader that is just starting to trade with stocks should however make sure to go with a broker that has a good reputation and that is well known for offering good customer service. A good way to find out if a broker offer good customer service is to send them a question before you register an account. See how quickly you get a response, if it answers your question and if it seem friendly. You should also see if it seems like it has been written to answer your question or if it seem like a copy pasted or automated answers. Brokers with good customer service tend to personalize the letter and avoid form answers. It is often a good idea to send a follow up questions and see what response you get. Some brokers are good at replying to your original question but are bad at following up consequent questions. A broker with good customer service answers your follow up questions as quickly as the original one. Another good way to find out if the customer service is good is to see what others are saying on internet. Make sure to read a number of different opinions. Not just one review. Do not trust reviews that seem too positive and too pushy. It is rare for an honest review to have nothing bad to say about a broker. That there is nothing they could do better.